"This agent is the best of the best. Her knowledge of the community, of people's needs, and their ability to seek the best within their comfort zone cannot be surpassed. I'm only too happy to recommend both Charlie, and Pat for all they did for me in the name of the Team Partners." "Pat is a wonderful person to do business with. She always responded to any and all of our questions and concerns quickly and completely. We recommend Pat to anyone looking for a home in the area." "They were both very professional and extremely knowledgeable agents. We really appreciated the extra T.L.C. they shown toward us in helping us become orientated to the area. They are a great team and we highly recommend them." "She is very professional and confident in dealing with other listing agents and also closing companies. We now consider Pat as a friend and someone we will look to again for our real estate needs." 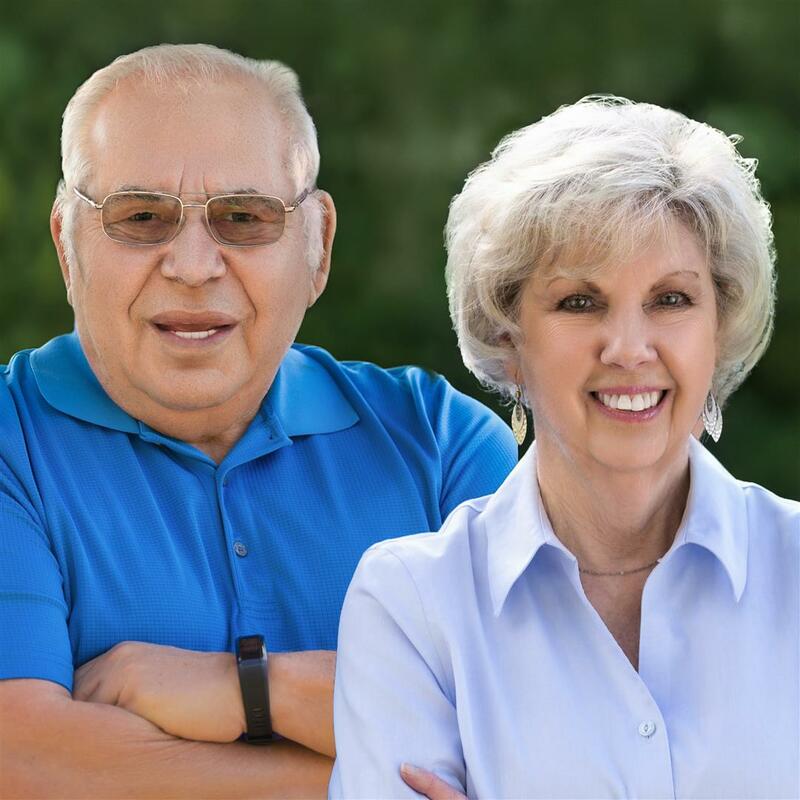 "We chose the McCullough/Takesian Team on a suggestion from residents of Oak Run and we couldn't have been happier with our choice of real estate agents. We took several visits with many house showings, but they were always gracious and willing to show us as many houses as we wanted to view; even to seeing them twice." to discover where you want to have fun for the rest of your life. Browse the Pictures of Oak Run Homes; See the Community and the Amenities. Get Free reports, Community Resources, and much, much more. Search Homes FOR SALE in Oak Run - Ocala, FL now! We have been working together as a TEAM for almost 10 years. Charlie is a Broker Assoc. and I am a Realtor e-pro. We take pride in being “Full Service Realtors” and have a network of people to refer you to that will make the entire process a fun and exciting time. We specialize in Oak Run, because we live here, and we love it. We have homes in all prices and sizes, something for everyone and every budget. If you are looking for a New Life Style, Let us show you Oak Run, You have worked hard to get to this point, you deserve to enjoy it. Buyers check out our latest listings and use our free home search feature to find other area homes for sale! Sellers, get a free market analysis, and use our free home search feature to find comparable homes for sale in this beautiful area! You can find it all on this website. In fact, make your homes for sale search easier and become a VIP Buyer. Get immediate information on ALL new listings that match your criteria emailed. Do you have any questions about the Florida Real Estate market, or finding that perfect home here in Oak Run? Send me and email! Patamc.OakRun@gmail.com You will be surprised how quick I get back to you!! You will find a wealth of helpful real estate information for home buyers and sellers. Before you sell or buy a home, review the market information found on this website. Our real estate web site is intended to supply you with the most recent real estate market information for Ocala, Florida and specifically Life Style Communities such as; Oak Run, Spruce Creek, Golden Ocala, Stone Creek, Summerglen, Chandler Hills, Ocala Palms and other area homes for sale. We feature a free real estate search that will allow you to search Florida homes. Find information on buying or selling your next home here on our real estate website. As expert Florida Realtor®‘s, we can help you throughout the real estate buying or selling process. The Ocala area is a great place to live! Whether you already know which area you are interested in, or are looking for some suggestions, contact us today and we will be happy to discuss any question(s) you might have about Ocala, FL! SELLING A HOME? If you're thinking of selling your home in Ocala, or other Oak Run, Spruce Creek, Golden Ocala, Stone Creek, Summer Glen, Chandler Hills, Ocala Palms communities, the first thing you should ask is "How much is my home worth?" Being educated on market trends in Florida gives you the best chances of selling your home quickly and for the best price possible. Click on "Free Market Analysis" to request a free (C.M.A.) Comparative Market Analysis of your Marion County area home. Remember, we also take advantage of the latest technologies to make sure your property has a strong presence on the Internet. For example, if someone is looking for real estate in Ocala or a Realtor in Florida they have a much higher chance of finding this site, and YOUR listing. Contact us today and we will be happy to give you more information about our services to sellers. One way you can make your home search easier is by becoming a VIP Buyer. You will receive immediate information on ALL new listings that match your criteria emailed directly to you. Click on VIP Buyer's Program now!